This facing bite is a grooving and surface tool exclusively designed for a facing unit. 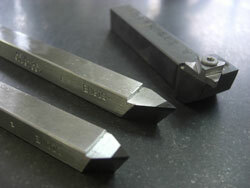 We design and manufacture PCD, mono-crystal diamond, and WC tips to meet any desired lapping process conditions. Grinding of used tools is also available.